The NBSAP Forum contains an extensive library of best practices related to developing and implementing NBSAPs. Our purpose is to enable countries to share and learn about effective, field-tested techniques and solutions. We work closely with our members to document the problem addressed, for whom, the primary actions, how they achieved results, and the solution they achieved. Search for or submit your best pratice here. Note: You can use the Ctrl (Windows, Linux) or ⌘ (Mac) keys to select and deselect more than one value in the boxes to the right. The search found 190 results in 0.012 seconds. Women contribute to biodiversity conservation and management in fundamentally important ways. Their role has been underscored in several decisions of the Conference of Parties (CoP) to the Convention on Biological Diversity (CBD), and the CBD’s 2015-2020 Gender Plan of Action. Previously, gender was absent from Jamaica’s National Biodiversity Strategy and Action Plan (NBSAP) of 2003. However, Jamaica’s latest NBSAP 2016-2021 includes gender considerations into biodiversity conservation actions and cross-sectoral strategies. 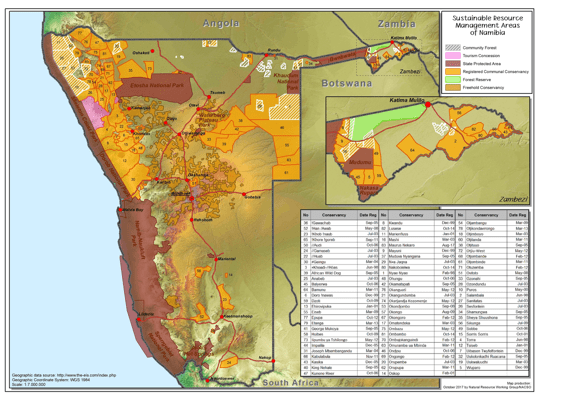 Namibia is recognized as a global leader in conservation and nature-based rural development. Its State-run Community-Based Natural Resource Management Program (CBNRM) is a successful example of decentralizing natural resource management and recognizing the rights and development needs of local communities. As a small island in the Indian Ocean, Sri Lanka is susceptible to adverse climate change impacts. The 2004 tsunami confirms that low-lying plains in the coastal zone are vulnerable to any future rise in sea level. In 2017, India initiated the process of preparing its Sixth National Report (6NR) to the Convention on Biological Diversity (CBD). India has previously submitted five national reports to CBD in 1998, 2001, 2005, 2009 and 2014. 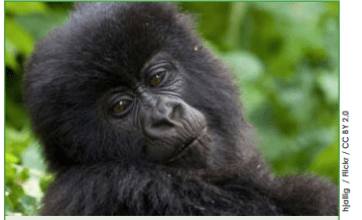 Biodiversity makes a substantial and direct contribution to the Rwandan economy through eco-tourism. Rwanda’s eco-tourism industry is one of the fastest growing sectors of the economy, and has shown significant potential for future growth. Serbia’s Fifth National Report (5NR) to the Convention on Biological Diversity (CBD) highlights the success of Serbia’s Republic Agency for Spatial Planning (SASP) in integrating and harmonizing Serbia’s ecological, economic and social development, based on the principles of sustainability. SASP achieves this goal by informing policy and development decisions through local, regional and national level spatial plans. The success of SASP corroborates the importance of having spatial planning integrated into national development policies and plans. In its Sixth National Report (6NR) to the Convention on Biological Diversity (CBD), and post-2010 National Biodiversity Strategy and Action Plan (NBSAP), Norway identifies invasive alien species (IAS), as one of the major threats to biodiversity. Other threats include land conversion and land-use change, climate change and pollution. This best practice highlights the efforts undertaken by Norway, as described in its 6NR and the latest NBSAP, to address IAS in an era of globalization and climate change. Industrial pollution has a serious impact on human health, fragile ecosystems, water and soil quality in Thailand. Changes in production processes, that are environmentally friendly, will allow the industrial sector to exist in harmony with nature and community. Lack of public awareness on the importance of biodiversity makes it challenging to achieve the objectives of the Convention on Biological Diversity (CBD) and successfully implement National Biodiversity Strategy and Action Plans (NBSAPs). Deforestation is a major driver of biodiversity loss in the Philippines. Between 1934 and 1990, the country lost 10.9 million hectares (ha) of forest cover.